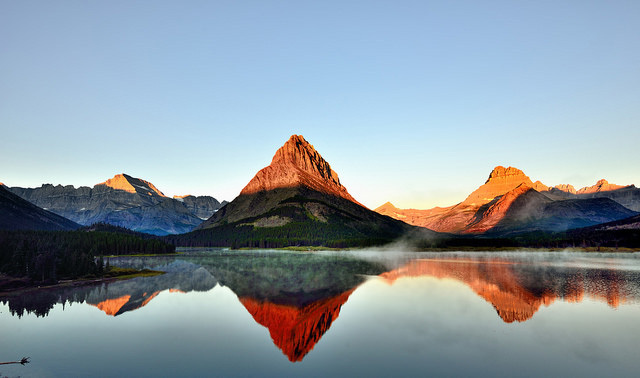 Montana State Nicknames | "The Treasure State" and "Big Sky Country"
The mountains of Montana have yielded fortunes in gold and silver since the first substantial deposits were discovered in the mid 1800's (Montana's state motto is "Oro y Plata" - Spanish for "gold and silver"). Montana also has sapphires (gemstone symbol of Montana). 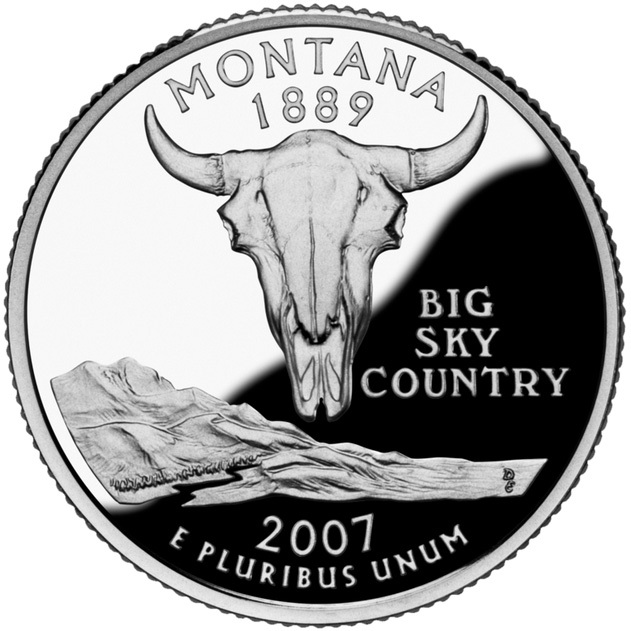 Another nickname for Montana is "Big Sky Country," made popular by a Montana State Highway Department promotion in the 1960's (originating from a book by Alfred Bertram Guthrie Jr. titled "Big Sky"). 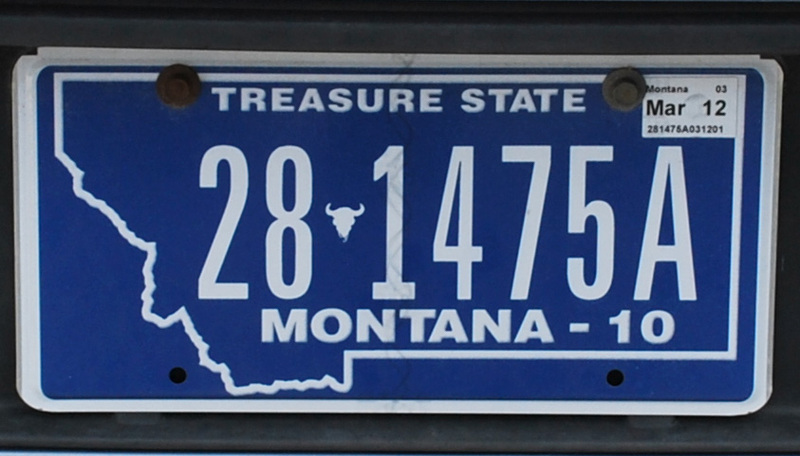 Montana license plate; features Montana's nickname and an outline of the state. Photo by Phil Hollenback/Flickr (noncommercial use permitted with attribution).